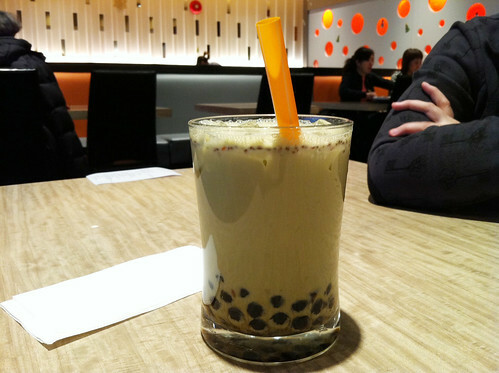 ...and Bubble World, where everyone was grossed out when I ordered brown rice matcha bubble tea, but it turned out to be pretty tasty. 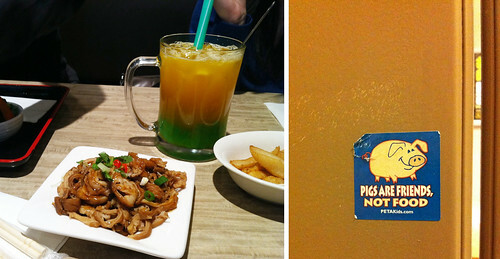 I also ate marinated pig intestines, only to later be haunted by this sticker in the bathroom. 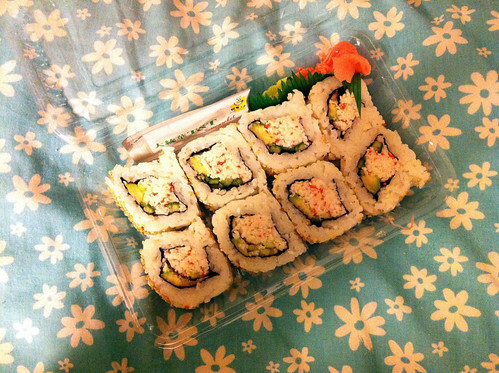 For dinner Jay brought me a TNT California roll, then I bought us some Pizzo pizza.